Where Did The Earth Quake Originate? Students determine the location of the epicenter and the magnitude of different earthquake events using data collected from seismograms. Using measurements they take from the seismograms, a travel-time curve, and a compass, students use a technique called triangulation to locate the epicenter of two earthquakes. 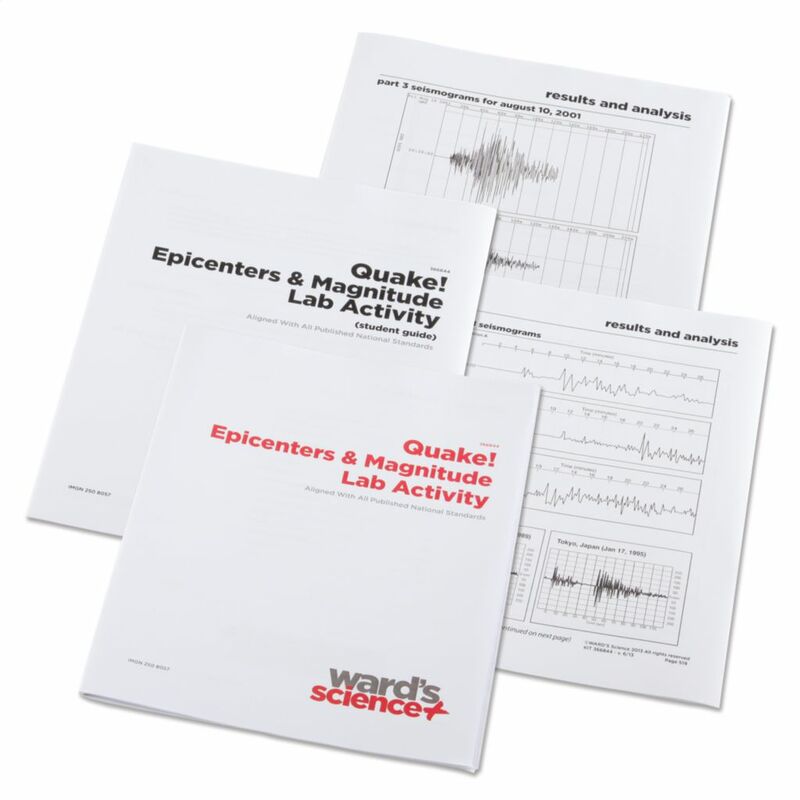 They also use data derived from these seismograms to determine magnitude according to Richter and Mercalli scales. ESS2: Earths's System is employed in the activity from the Framework Science Standards. 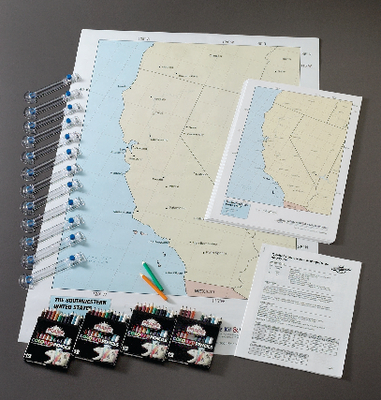 This kit has been aligned with all published National Standards. Pre- and Post-laboratory assessments and vocabulary words all target specific Science and Engineering Practices and common core standards. The teacher guide also contains specific "Did You Know" concepts that link the real world with the scientific standards explored. A student copymaster is also included. This kit includes enough materials for 30-60 students working individually or in groups. The materials in this kit will accomodate 12 groups. 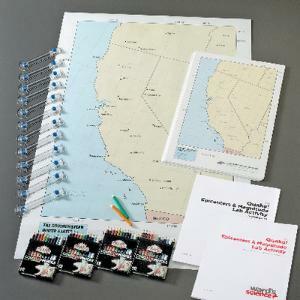 Ordering information: Activity contents include 2 Packages of student maps, 11"X17", package of 30, 1 Class map, 24"X36", 4 Packages, colored pencils, package of 12, 1 Package of safety compass, package of 12, and Teacher's Guide and Student Guide. These activities require two class periods.